The Ramon Margalef Summer Colloquium (RMSC) has been running yearly since 2013 (www.acoio.org/margalef-summer-colloquia) and aims at training young researchers in Ecology, as well as promoting their networking and debate with invited lecturers as well as among themselves. The Colloquium is inspired in the figure of Ramon Margalef (Barcelona, 1919-2004), who was one of the founders of modern ecology. He broke paradigms and contributed with innovative theories about the spatiotemporal structure of ecosystems, the relationships between diversity, biodiversity, stability and connectivity, the fundamental role of energy in biological productivity as well as the interrelationships between ecological succession and evolution. He recognized the importance of the physical environment to understand the behavior of species and ecosystems. He wrote ca. 400 papers and books, working for many years at the Institut de Ciències del Mar (www.icm.csic.es) and the University of Barcelona (www.ub.edu), Spain. We believe this 6th Colloquium will, again, be an excellent opportunity to foster learning and discussions on the relevance of an interdisciplinary perspective in Ecology & Evolution. We expect to attain this important aim through a very dynamic colloquium with an important component of discussion, exchange of ideas and research. The use of omics techniques has spread rapidly across the field of Ecology and Evolution during the last decade, but there is substantial work ahead to link the obtained results with the existent ecological theory. 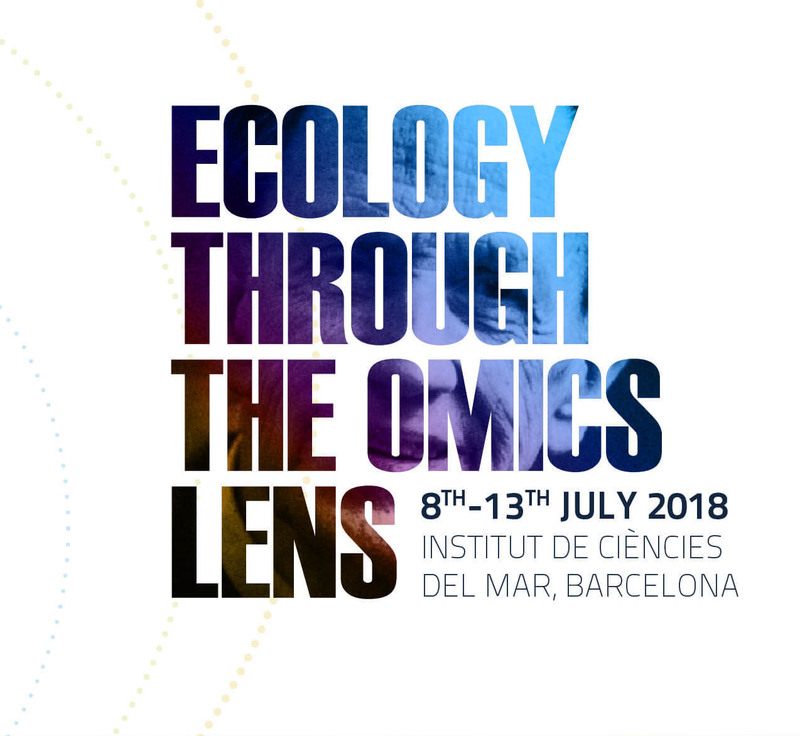 During the 2018 Ramon Margalef Summer Colloquium we will make an effort to bridge this gap, aiming to inspire attending students to move from “what” to “why” when using omics approaches to study the ecosystem, as well as to frame their omics-based research in a theoretical ecological framework. The course will cover different environments (marine, terrestrial, host associated) as well as organismal sizes (from microbes to plants and animals), thus becoming an excellent opportunity to bring together researchers with similar questions, but working in fields that seldom communicate between each other. Furthermore, this edition of the course will focus on the feedbacks between ecology and evolution, and how the processes studied by both disciplines shape the structure of life on earth. We are convinced this 6th Colloquium will be, again, an excellent opportunity to foster learning and discussions on the relevance of an interdisciplinary perspective in Ecology & Evolution. Typically, we have ~30 international as well as Spanish students and postdocs at the Seminar, along with a handful of mentors. The past Seminars were hugely successful among attendees due to their unique interactive setting for sharing and presenting cutting-edge research. This coming year we plan to bring together a diverse, international group of young scientists studying ecosystems and using the most novel “omics” techniques to learn about new developments in this rapidly advancing field, share ideas, as well as build future collaborations. We plan also to invite local and international lecturers that work at the forefront of ecological and evolutionary research, applying state-of-the-art omics approaches. The scientific organization of the RMSC-2018 will be provided by ICM-CSIC and the logistics will be taken care by the Catalan Association of Oceanographers (ACOIO). The course organizers are Javier del Campo, Ramiro Logares and Cèlia Marrasé. The main site for the course will be the facilities of the Institute of Marine Sciences (Institut de Ciències del Mar, ICM-CSIC), near downtown Barcelona and close to university lodging (Resa Website). Students will need to take care of their lodging in Barcelona. Please see under the accommodation item for further details.